Degos Disease is an extremely rare skin complaint, which sadly proves to be fatal for many sufferers. The biggest problem in discovering the cause of the disease is caused by the lack of information because only a few hundred people in the world have the symptoms. 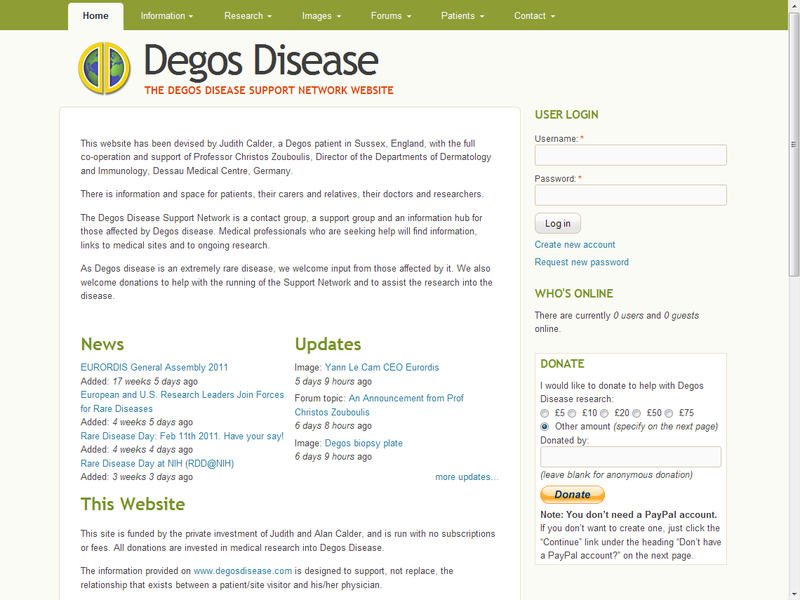 Fonant built the original Degos Disease website using a combination of the phpBB forum software and some custom content management code. In 2010 the site was re-built using Drupal 6, providing much more flexibility and potential for future upgrades and ease of maintenance.